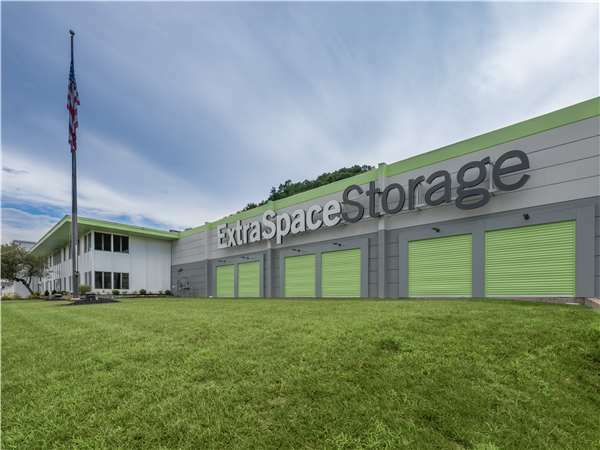 Located on Sperti Dr near the intersection of Madison Pike and Dudley Rd south of I-275, Extra Space Storage serves residents of Edgewood, Lakeside Park, Fort Mitchell, Fort Wright, Kenton Vale, Taylor Mill, Wilder, Independence, and more. Locals will recognize our facility near McDonald's, Thorntons, and First Financial Bank. Extra Space Storage is about 3 miles from Thomas More College, providing a convenient option for college students in Edgewood who need summer storage or storage while studying abroad. 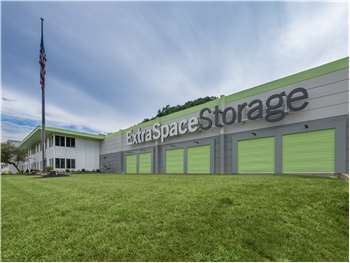 With a large selection of storage units, climate-controlled storage, heated storage, and exceptional security, Extra Space Storage on Sperti Dr is the ideal storage partner for you in Edgewood! Our Edgewood storage facility has unit sizes from 5x5 to 10x33 with convenient features like indoor access, first-floor access, climate control, and more. We have the space you're looking for! We strive to provide customers with a safe environment. That's why our Sperti Dr location utilizes security measures like an on-site manager, 24-hour video surveillance, and electronic gate access. Worried about sensitive items in long-term storage? Rent a storage unit with climate control or a heated storage unit to prevent damage caused by extreme heat or cold. Climate control maintains an environment between 55 and 80 degrees, while heated storage ensures your unit stays warm during the winter. Climate-controlled units are available in sizes 5x10 to 10x20, and heated units come in sizes 5x5 to 10x33. When you rent with Extra Space Storage, you can expect high-quality self storage you can trust. Not only do we maintain a secure, clean facility at all times, but we also have a friendly, professional staff available to help with whatever you need. Contact us today to reserve a storage unit in Edgewood! If you are needing a storage unit, the location of either Crescent Springs pike, Crescent Spring, KY or the location on Sperti, Edgewood, KY, I would recommend. Heather & Becky, respectively, are very helpful & thorough. They explain everything. The only thing I didn't care for was having to purchase a cylinder lock when I had a perfectly good lock for my unit. Their facility is very clean & access to your unit is fairly reasonable. The prices are comparable to other places. What I appreciated the most was the helpfulness of both ladies. The place we rented was very clean and well maintained. Becky worked with is to help us decide what size of unit we would need. Well maintained clean area, friendly staff, and most importantly reasonable prices. Great storage facility , convenient , friendly staff and very clean and safe . I felt very welcomed right when I walked in. Dawn was great and helped me get what I needed. Easy initial rental process. Friendly manager. Facility is very clean and being heated is nice. Becky and Raye at Extra Space Storage went above and beyond in their assistance to help me find the right kind of storage for my furniture. I decided on inside storage and the facility on Sperti Drive in Edgewood, KY is very clean and has easy access when you want to drop things off at your unit, as well as ease for the movers with their big trucks. From my own experience with Extra Space, I would not hesitate to recommend them to friends or family. Very knowledgeable and friendly staff. Facility is clean and well maintained. Excellent location. customer service wonderful. Staff is friendly understanding and flexible. Space of units are clean roomy and convient. Drive southwest on Madison Pike. Cross I-275 and turn right onto Dudley Rd. Turn left onto Sperti Dr. Our facility will be on the right as you approach McDonald’s. Drive north on Madison Pike. Pass White Castle and continue straight. Turn left onto Dudley Rd. Turn left onto Sperti Dr. Our facility will be on the right as you approach McDonald’s. Drive west on I-275. Take exit 80 and turn right onto KY-17/Madison Pike. Turn right onto Dudley Rd. Turn left onto Sperti Dr. Our facility will be on the right as you approach McDonald’s. Drive east on I-275. Take exit 80 and turn right onto KY-17/Madison Pike. Turn right onto Dudley Rd. Turn left onto Sperti Dr. Our facility will be on the right as you approach McDonald’s.